Majorities of voters in the southern and eastern regions of Ukraine believe there is no candidate running for the presidential election planned for May 25, whom they trust with a vote to represent their interests. With two months still to go, the outcome of the poll is therefore already decided – it will be regarded by southern and eastern Ukrainians as a forced choice; an illegitimate result; and an outcome which cannot be relied on to protect the interests of the southerners and easterners. According to voter polling by the Kyiv International Institute of Sociology, there are still large blocs of undecided voters or refuseniks in the south and east who may be persuaded to vote. The appointments of the steelmill oligarchs, Sergei Taruta and Igor Kolomoisky, as governors of the Donetsk and Dniepropetrovsk regions has been interpreted as an attempt by officials in Kiev to achieve this with cash and promises of job and pension benefits. 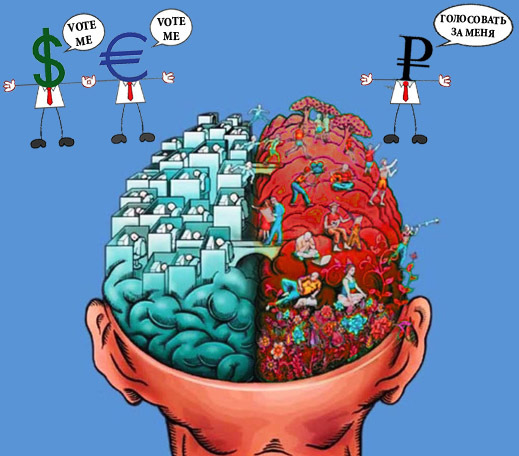 But new poll evidence suggests that no amount of money can buy votes for the US-approved candidates — Vitali Klitschko, Petro Poroshenko, or Oleg Tyagnibok. The same can be said for the Russian-approved candidacy of Yulia Tymoshenko. Until now the two publicly available, independent Ukrainian polling companies have been the Centre for Social and Marketing Research in Kiev (SOCIS) and the Kyiv International Institute of Sociology (KIIS). The credibility of their reports has not been challenged. To date, their published survey results have shown a steady shift of Ukrainian voter sentiment away from the Maidan opposition, and towards the polarization of political views between the western and eastern regions of the country. In that process, the candidates for leadership backed by officials of the European Union (EU) and the US – particularly Klitschko, Tymoshenko and Poroshenko – have suffered a steady loss of cross-region – not to say national — support. 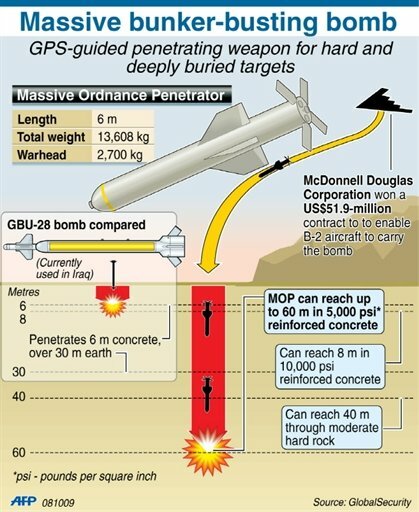 For details of these polls, read this. Thirteen lists were presented, testing recognition and support for names who are well-known at present, but many of whom aren’t reported outside the Ukraine as presidential contenders. These range from Sergei Tihipko to Mykhailo Dobkin, Rinat Akhmetov and Mykola Azarov. Tihipko was a deputy prime minister under President Victor Yanukovich until February 24. His political support was tested when he ran for president in 2010. That support was small, concentrated in the eastern regions of Kharkov and Dniepropetrovsk, and overtaken by Yanukovich. Dobkin was the Kharkov region governor until ousted on February 24. He then announced he wants to run for president. Akhmetov is the Ukraine’s dominant business figure who has so far avoided the presidency and partisan position-taking. Azarov was Yanukovich’s prime minister until he resigned on January 28, and moved to Vienna. He and his son Oleksii are on the EU sanctions list. The KIIS poll shows that as of last week, Tihipko is the new candidate to pick up those voters who favoured Yanukovich until he was ousted last month. For the moment, Tihipko draws 8% overall, with almost 17% in the east and almost no votes in the west. Dobkin and Akhmetov received roughly the same 3%; but these also appear to be the same voters in the east. Ex-prime minister Azarov drew the preference of 2.4%, but no votes in the west. 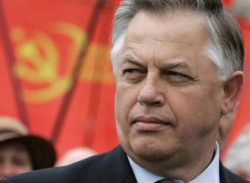 The Ukrainian Communist Party candidate Petro Simonenko (right) takes no votes from the west, and he appears to be gaining small numbers of additional votes in the east. However, his countrywide support is between 5% and 6%; since January this has improved by percentages no larger than the margin of statistical error. Compared with the poll results for January and February, the new KIIS survey isn’t good news for Poroshenko, the business figure who is one of the candidates supported by some officials in the US Government. According to KIIS, he remains the front-runner with between 19% and 21%. But as the domestic crisis wears on, and confrontation with Russia sharpens, Poroshenko isn’t gaining cross-region support; in the east and south he is losing voters. The new evidence reveals the same trend for Klitschko, who can barely muster 12% nationwide. Although US Ambassador Geoffrey Pyatt is on record as promising to give Klitschko “homework” while preparing him for the May 25 ballot, what support there was for Klitschko across the country is slipping irreparably away. He remains a viable candidate only in the west. Tymoshenko, whom US officials wanted to despatch to Germany, keeping her out of the presidential campaign, was polling 10% or more nationwide in February, just before she was released from prison and just afterwards. Now, according to KIIS, Tymoshenko is slipping towards 8%. Despite a public endorsement from President Vladimir Putin, she is failing to attract new voters in the east or south. Sources at SOCIS say they cannot release publicly the regional breakdowns of their presidential vote surveys, so this tabulation from KIIS is a unique piece of evidence about what is happening inside Ukraine, as the pressure on the country’s frontiers intensifies. 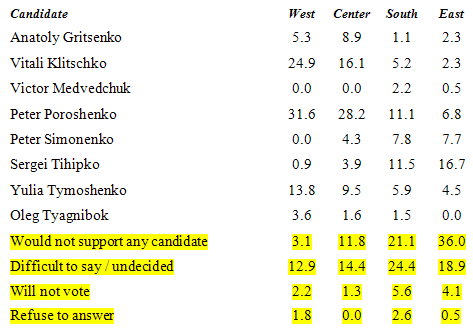 The last four rows highlighted at the bottom of the table demonstrate that western Ukrainians have mostly made up their minds and already chosen their presidential candidate. The focus of the presidential election will therefore be on the more populous regions of central, southern and eastern Ukraine. In Kiev, for example, there is the three-way contest, which the US Government has been trying to avoid, between Poroshenko, Klitschko, and Tymoshenko. With enough pressure from outside, they may agree to comport their differences, and support a single runner. But it is the percentages for the south and east which reveal that there can be no consensus candidate to attract a majority of votes there. For the south, KIIS reports an absolute majority of 51.1% who say they won’t vote for any of the candidates currently listed; won’t vote at all; or won’t reveal to pollsters what they are thinking. In the east, this majority jumps to 59%. These majorities are the result of the polarization of the Ukraine since Yanukovich’s downfall three weeks ago. They indicate what pressure from the outside – threats, sanctions and bailout programmes from the EU and US; military movements, investment promises, and support for the Crimean referendum from Russia – is doing to the hearts and minds of the regional voters. The KIIS polling results, released two days later, reveal that the majority of voters in the east and south believe that no agreement with Kiev, with the EU or the US, is worth the paper it is written on, and they are anything but calm about the political options they now face.